Ramana Maharshi Books - Discover Ramana Maharshi Books At Vedic Books - Books From India Direct! Throughout the history of mankind spiritual giants have appeared on very rare ocassions to exemplify the Highest Truth, guiding followers by their conduct in every moment of their lives; Sri Ramana Maharshi was such a giant. Unique in our time, He perfectly embodied the ultimate truth of Self-realisation, or complete immersion in God. Discover all kinds of amazing Ramana Maharishi Books here! A perspectve, in the light of the teaching of Ramesh S. Balsekar. Gives us a vision of Truth - Jeeva, Jagat and Iswara meaning individual - world and God respectively with their inter-relation and true nature explained vividly - Maharishi revels in his experience of Truth and talks of enquiry leading to it. About the Author: A.R. 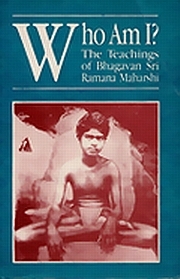 Natarajan was a disciple of Sri Ramana Maharshi who published numerous books on his guru. He was the president and founder of the Ramana Maharshi Centre for Learning, the Bhagavan Sri Ramana Maharshi Research Centre and the vice-president of the Ramana Kendra. He was the editor of the journal The Mountain Path. Self Knowledge the means to attain pointed out - Paths of Action, Devotion, Meditation and Knowledge indicated in Geeta leading to Supreme Bliss of Liberation explained in nut-shell.